Dr. Ralph B. Winn, a professor of psychology at Rollins College (1964-65), is the author of over twenty volumes. 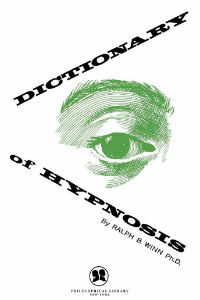 He has written extensively on hypnotism as well as on associated subjects. Topics he has written on include aesthetics, German art, philosophy, astronomy, child development, child rearing, collectivism, Communism and art, Communist aesthetics, education, existentialism, Abraham Lincoln, mental health, mental suggestion, American psychiatry, psychology, and psychotherapy. He has translated many books from German, Russian and French. He is the developer of a form of light hypnosis (oneirosis) which he has used to eradicate objectionable physical habits and personality faults. As an American expatriate living in Paris, he was a member of the Existentialist philosophical movement. He introduced the founder of the Philosophical Library, Dr. D. D. Runes, to Jean-Paul Sartre, which lead to the publication of many literary works related to existentialism.